Ebikes are not exactly welcome on the trails in the Pacific Northwest, but if you’re going to ride one and with the increased speeds, Alpinestars Drop Pro Kit is optimized with PU reinforcement in high abrasion areas. It’s made from a light and durable poly-fabric main shell and convenient storage compartments resulting in a versatile, all-round enduro jersey. The Drop Pro kit includes a short that also offers more performance and protection with PU reinforcements to increase durability and coverage in high abrasion areas. Alpinestars is my fav line of mtb clothing, but I’m not convinced anyone needs ebike specific kit, but if you do, they’ve got you covered. Find the Drop Pro kit at a retailer near you or direct online. The short-sleeve jersey is $69.95 and the shorts are $129.95. Constructed from lightweight, advanced poly- fabric to promote moisture-wicking. 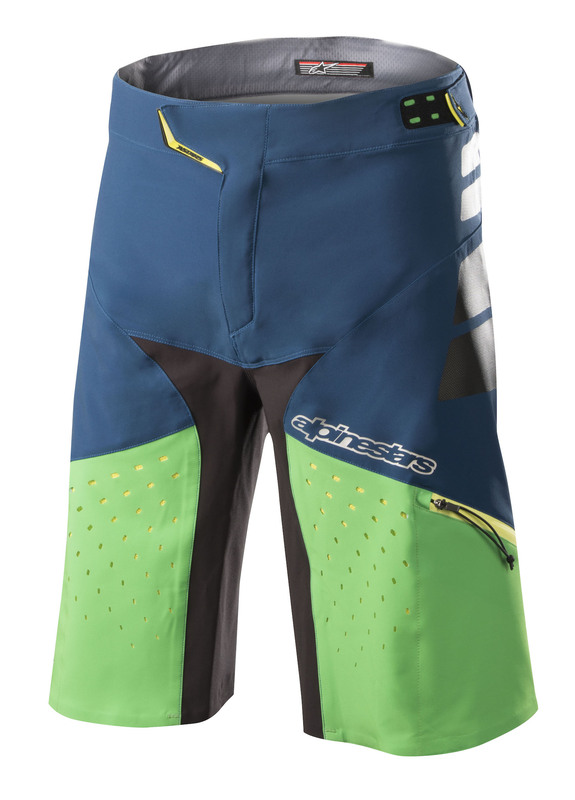 Alpinestars’ Coolstar moisture-wicking technology avoids the build-up of sweat and helps keep rider dry and comfortable. Constructed from lightweight, advanced poly- fabric to promote moisture wicking. Ergonomically profiled PU reinforcements in high abrasion zones on thighs. Hook and loop strap waist adjustment with TPR pullers. Zippered side pockets and back pocket. Stretch material on the crotch and back yoke, with strategically positioned Spandex for mobility. Laser-cut front air vents for cooling airflow. Flat snap connection for compatibility with alpinestars inner shorts.